Distribution is an essential part of the game of basketball. If a team cannot effectively pass the ball, it relegates itself to an offensive scheme consisting of a series of one-on-ones. It’s difficult to win that way, especially without a bench full of ballers. 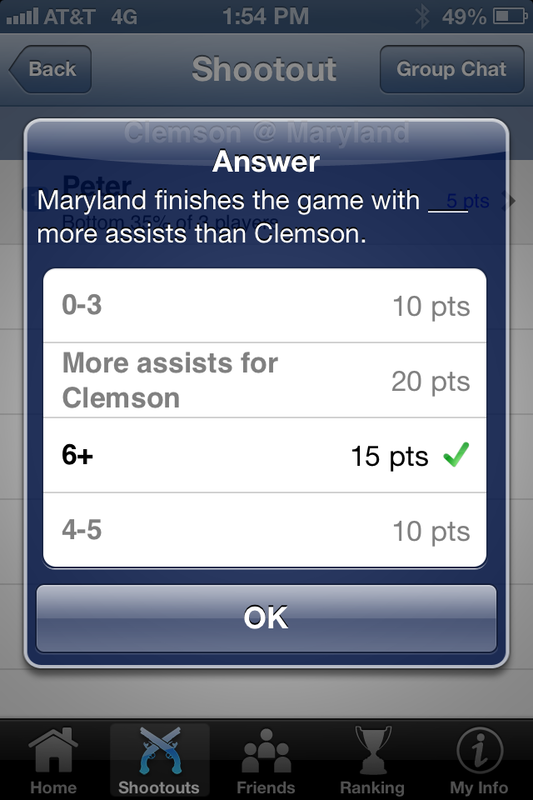 That was the trouble for Clemson in their 72-59 loss against Maryland. They simply do not have enough playmakers to warrant their one-on-one offense. Sure, Devin Booker is good for double digit points every game, but isolation-only offensive renders the Tigers predictable and prone to stretches of stagnation. All of this should have come as no surprise to any fan of the Tigers. After all, Clemson is one of the 50 worst teams in the country in assists per game. Maryland, on the other hand, excels at distributing the ball. They entered the game averaging 15.3 assists per game, good for 33rd in the nation. 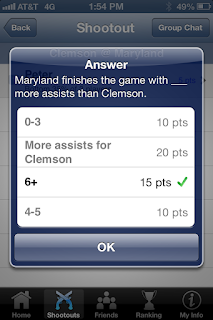 It was clear that Maryland would record more assists than Clemson, but only the best SnapCall players could predict rebounding margin. As the box score indicates, Maryland’s guards had superior court vision and knew how to distribute the ball. Nick Faust, Seth Allen and Dez Wells combined to account for 13 of the Terrapins’ 19 assists. For Clemson to have had any shot in this game, they needed to shrink the gap in assists, but as the results clearly show, the Tigers were unable to do that. They finished with just 10 assists, half of which were recorded after the game was already out of reach.